Desiigner revealed his cover art for new single “Timmy Turner” Monday night. 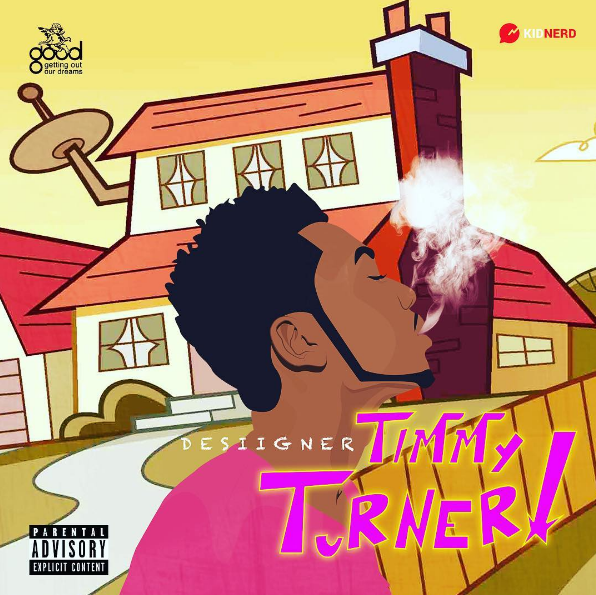 The artwork features a cartoon version of Desiigner standing in front of Timmy Turner’s house from the show The Fairly OddParents and in the top right corner is a watermark that reads KIDNERD. KIDNERD’S real name is Jefte Castillo, a Bronx, New York native who currently attends the Fashion Institute of Technology and will be wrapping up his bachelor’s degree next May. Castillo told Complex he undertook the project on his own and getting it to Desiigner is evidence of how powerful the internet can be. See, this isn’t Castillo’s first rodeo. Sensato, an artist signed to Pitbull’s record label, used one of the designer’s artwork in the past. Castillo said it came about the same way: a self-project that found its way into the hands of an appreciative artist. It’s all a way for Castillo to get his name out there while he searches for internships, he says. With Desiigner’s co-sign, he’s got at least one high-profile recommendation to add to his résumé.